This advice holds especially true when looking for people to learn how to draw with. Being surrounded by encouraging sketchers can be helpful when practicing new skills. 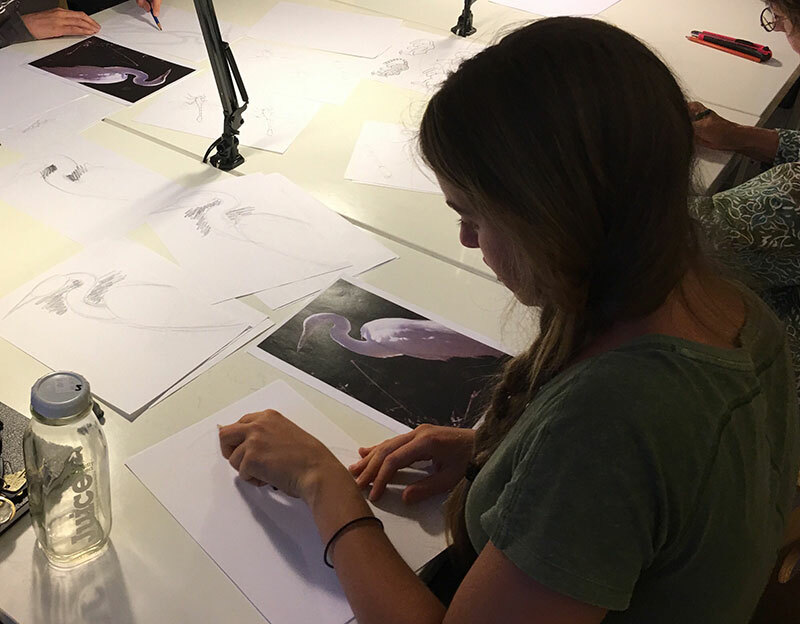 Drawing Lab student, Morgan, uses the overhand grip as she learns to sketch negative shapes around an egret. Learning to draw is fun. But if you are just getting started, putting pencil to paper can be challenging, sometimes even scary. 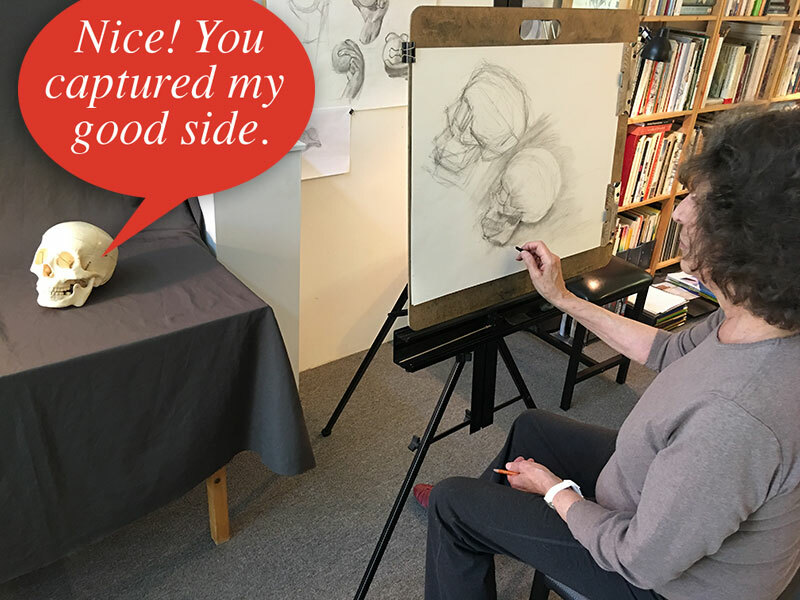 It is important to find a drawing studio where encouragement and inspiration abound. It should be a safe environment where adult and youth students feel comfortable expressing their creativity. At the same time, you should also feel free to discuss your fears about learning to draw. 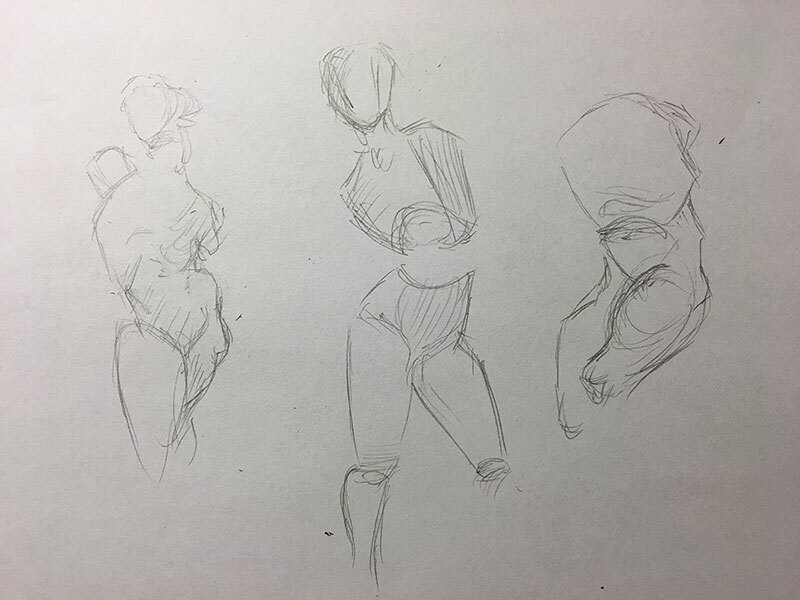 Whether you are an experienced sketcher or beginner, sharing your drawings with others can be a valuable learning experience. 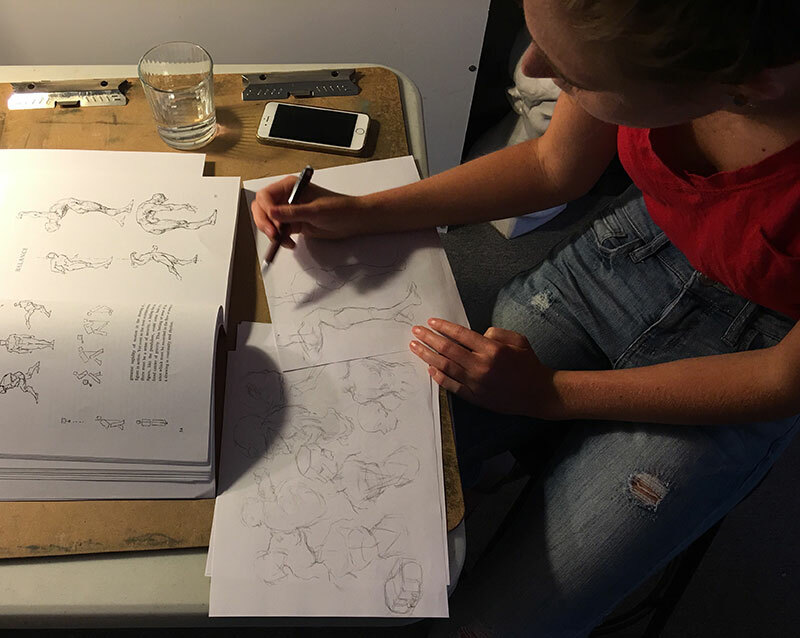 Level 3 sketcher, Storey, shares her intensive study of a duck with Tina, Level 1. You can always pick up useful drawing tips from other sketchers. Drawing Lab student, Jessica, demonstrates her own little trick of placing a smudging brush in her hair while holding charcoal in one hand and an eraser in the other. 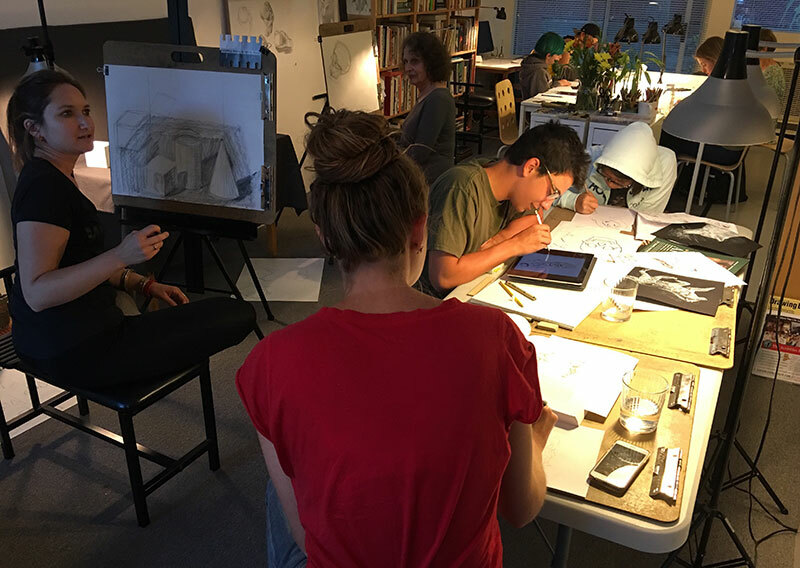 The lesson framework of a drawing studio should be based on time-tested methods of practice, solid fundamentals, and specific techniques. But you should also be guided in finding your own creative path to follow as well. 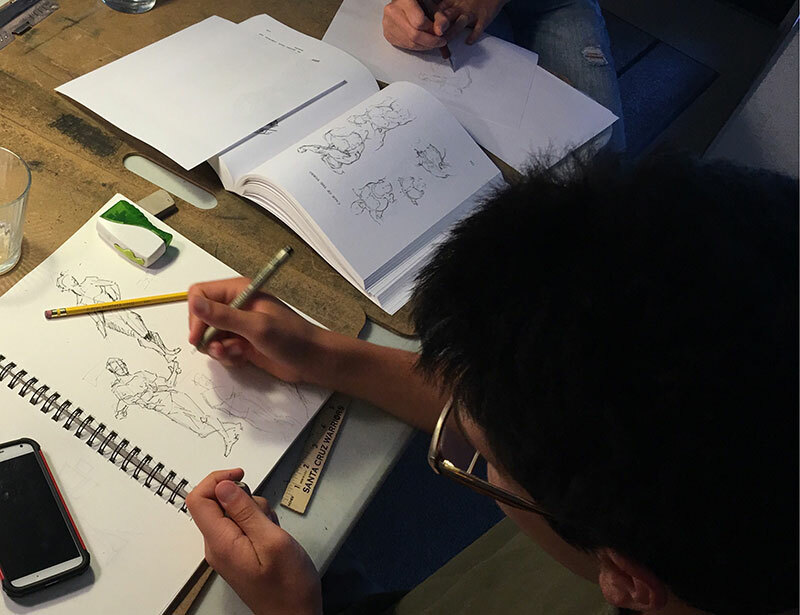 Youth sketcher, Casey, enjoys applying principles of accurate proportions as he sketches the movement of a comic figure. You know you’ve found the right drawing crowd when you can take a break, walk around the studio, and get inspired by the outrageously cool projects everyone is working on. 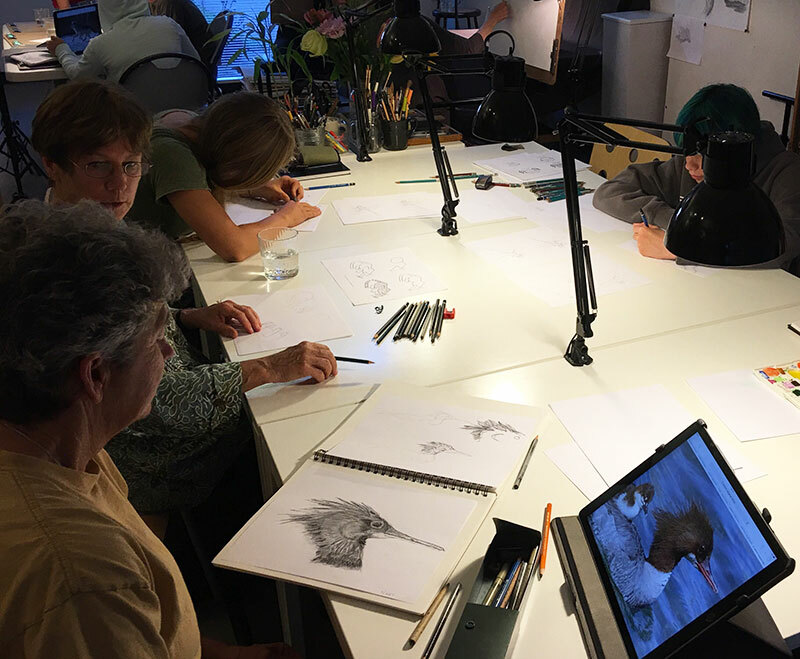 Dylan adds watercolor to his drawing as Amma confidently sketches an egret during Wednesday’s Drawing Lab session. I am proud of the diverse range of work produced by students at the Scribbles Institute. I have the privilege of teaching parents and their children in our Draw With Your Kids program, as well as one-on-one in my private coaching sessions. 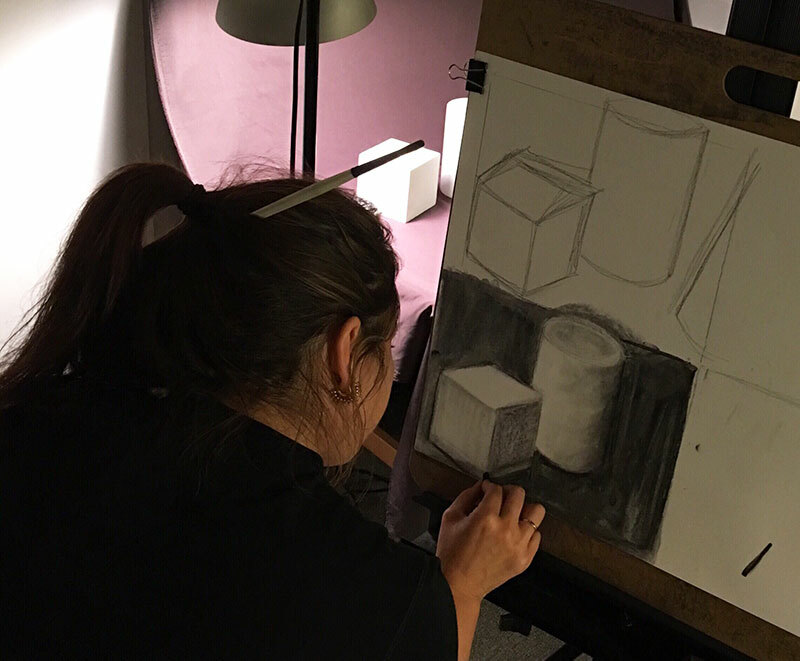 I enjoy watching adult and youth students gain confidence and accuracy during our Drawing Lab sessions. And I get the pleasure of meeting fascinating people from all walks of life at our SketchTribe Meetups. You could say, after all these years, I have finally found the right crowd to draw with. 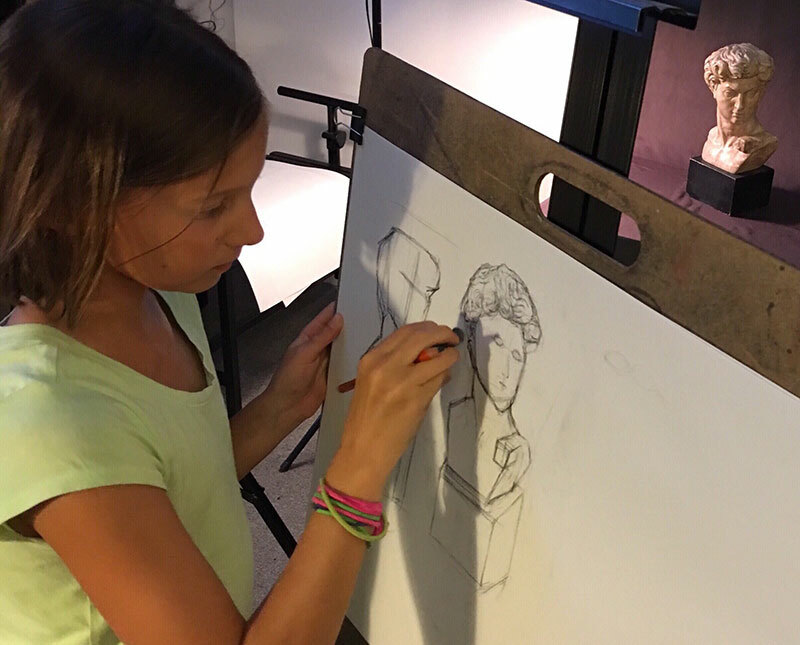 Scout practiced capturing accurate proportions of a plaster bust during Thursday’s Draw With Your Kids session. Nicole’s imagination went wonderfully off the hook during Wednesday’s concept sketching session. 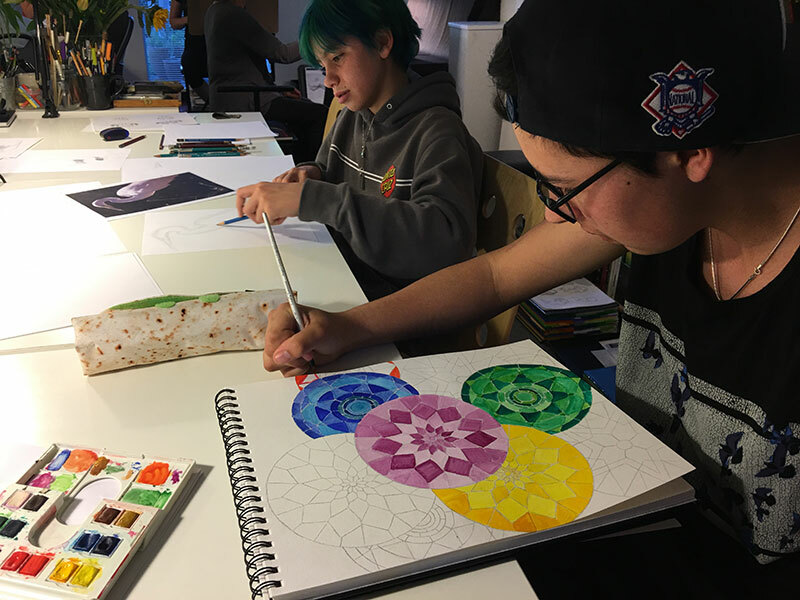 Private coaching sessions allow students to focus on their specific drawing interests. “Bob” is an excellent model for Lenore. 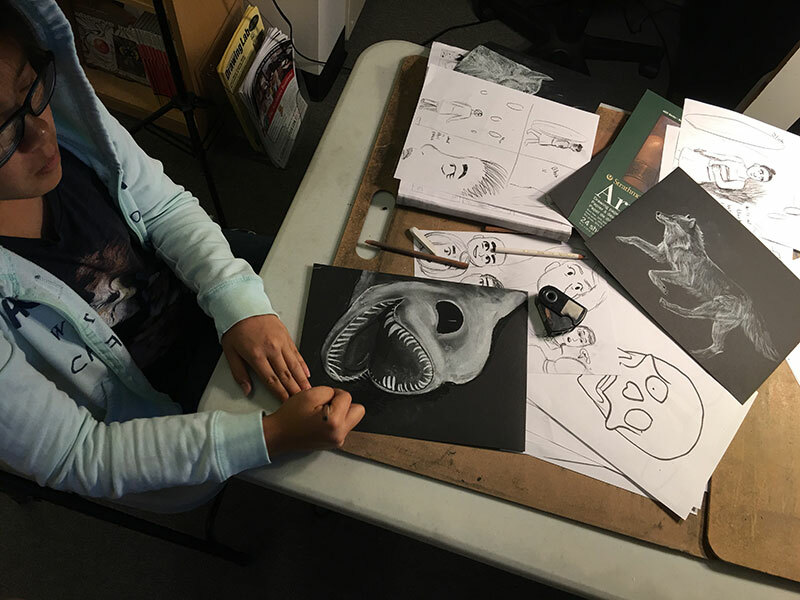 Between work and preparing for Cabrillo College, Faith delves into figure studies from George Bridgman’s book, Drawing from Life as she develops characters for an illustrated story she is doing. Solid classical principles of the human figure sketched by Faith. 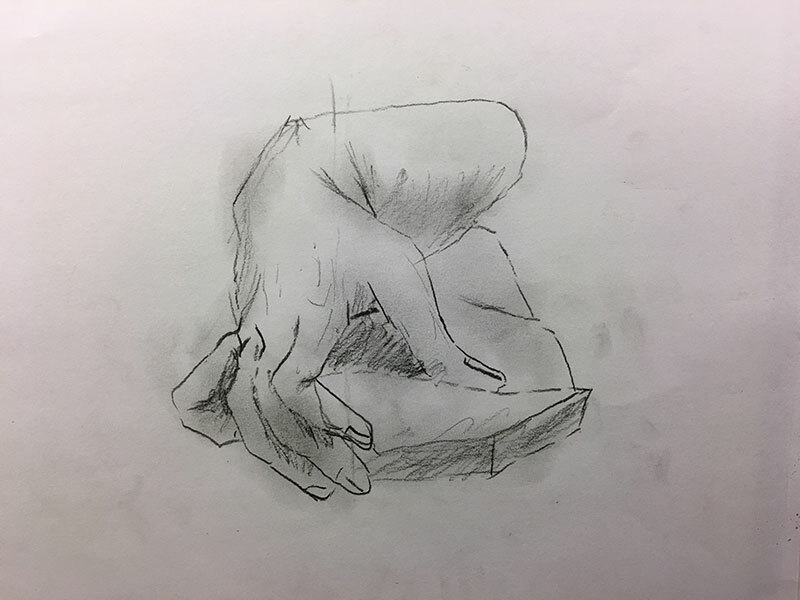 During Thursday’s youth session, Devin used reference prints from Charles Bargue as he cranked out impressive contour studies of hands. 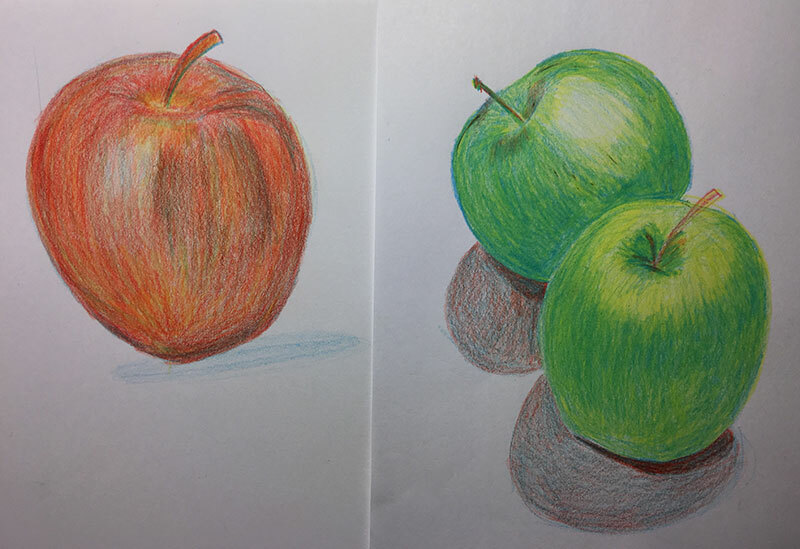 Meanwhile, Devin’s mom, Becky, was deeply engaged in layering primary colors with Prismacolor pencils to achieve beautifully formed apples.